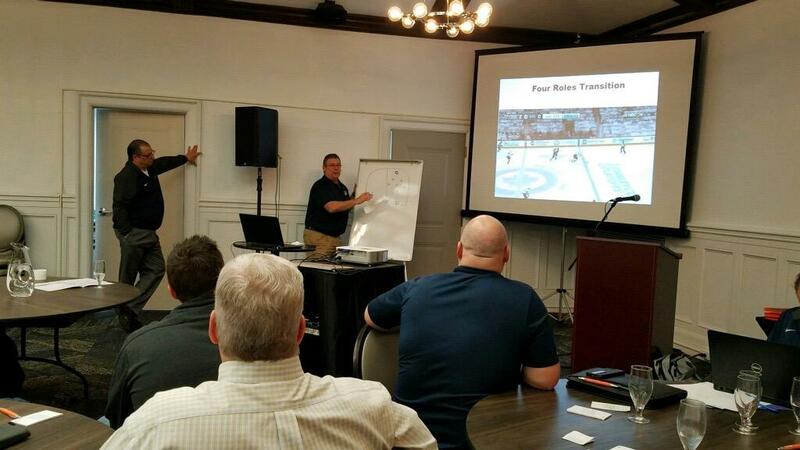 BUFFALO, N.Y. – As four NCAA teams entered the 2019 NCAA Frozen Four with a chance to be crowned national champions, USA Hockey's Coaches Section and ADM staff held meetings to discuss and update USA Hockey's Coaching Education Program curriculum. The combined meeting between the Coaches Section and the ADM Regional Managers came about after a discussion at the USA Hockey Winter Meetings earlier this year. The goal of having both sections come together is to revisit the curriculum and explore its successes as well as how it can be improved. The timing couldn’t be better, as USA Hockey will see the 2019-20 season celebrate the 10th anniversary of its successful American Development Model. USA Hockey Coach-in-Chief, Mike MacMillan, echoed Tabrum’s thoughts. Both the Coaches In Chief, as well as the ADM regional managers, are spread throughout the country, making their time together at meetings like this all the more valuable. One of USA Hockey’s coach-in-chief is none other than Christian Koelling, director of hockey operations for the University of Minnesota Duluth Bulldogs who will appear in their third-straight NCAA national championship game. Koelling and the Bulldogs will face Massachusetts on Saturday at 8pm ET on ESPN2. A win would make the Bulldogs the first team to win back-to-back NCAA championships since Denver in 2004-05. Throughout the course of the weekend, multiple members of the Coaches Section and ADM regional managers presented on areas that the group would like to improve upon. 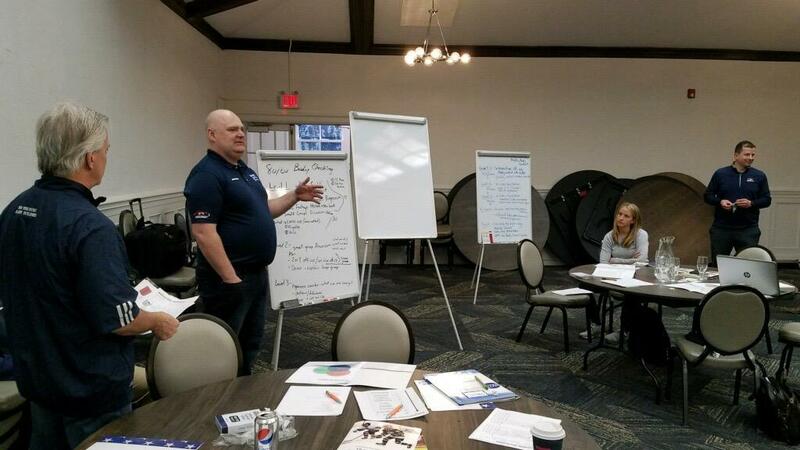 It began by reviewing the 2018 curriculum with topics ranging from responsibilities in coaching, defining roles on the ice, and off- and on-ice training. Everyone in attendance got to break up into groups to have smaller discussions. After each day, the group came back together to discuss how to further integrate the strategies that were talked about throughout the day, along with an opportunity for reflection on further implementing these strategies over the course of the season. MacMillan said that the goal is to not only make the coaching clinics better than before, but also make sure that when the coach leaves that clinic they have had a fun, great experience that they can take with them throughout the course of the year to coach their players.